Conceived in 2003, the Red Bull Air Race World Championship is a global competitive air racing which features pilots on lightweight single-propeller airplanes flying through challenging low-level aerial track as swiftly as possible among each other. After 50 races, the series was put on hiatus in 2011 by its management team to improve the series overall safety. Among the changes that the management team have made to the series is the use of standard engines and propellers for all pilots together with changes to the lightweight nylon pylon material as well as the height of the pylons themselves. 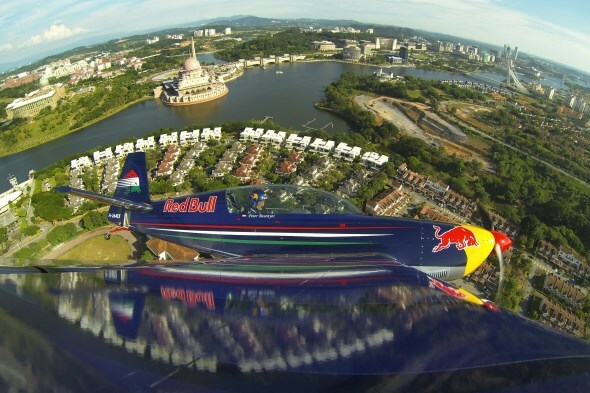 With that, the Red Bull Air Race World Championship is now finally ready to make a comeback in 2014. The rest of the series will take place in UAE, Poland, Great Britain, USA and China. To learn more about the event, head on to www.redbullairrace.com.